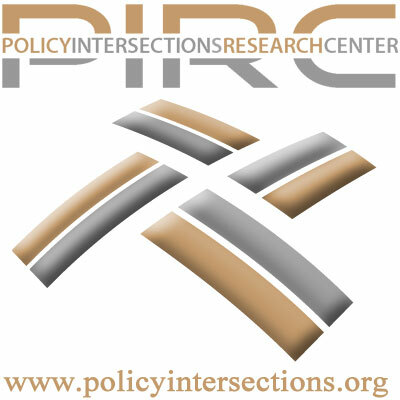 Welcome to the home page of Policy Intersections Research Center. The basic idea is pretty simple: while we might like to think that many important issues can be treated separately, in actual fact they are closely connected. That is, they intersect. This organization is especially interested in how life issues intersect with liberty and the pursuit of happiness. To put it more directly: ‘limited government’ is itself a life issue, for it is in the great expanse of government where concerns related to abortion, euthanasia, embryonic stem cell research, etc, are embroiled, hidden in the complexities of bureaucracies and committees, and more. The assault on life, in turn, turns out to be an assault not just on the liberties of the weak and defenseless (eg, the unborn), but the liberties of all of us, and, by natural consequence, our inalienable right to pursue happiness. Though PIRC has a strong emphasis on life issues, the whole point of the organization is that, in point of fact, they are all related. A defense of life is a defense of liberty. A defense of liberty is a defense of the pursuit of happiness. A defense of pursuit of happiness is a defense of life. And so it goes. It is our goal to make that argument, help you make that argument, or persuade you by that argument.